Unique "Up/Down" switches match the look and feel of radiant paddle switches. Easy-to-use oversized main switch for primary load. 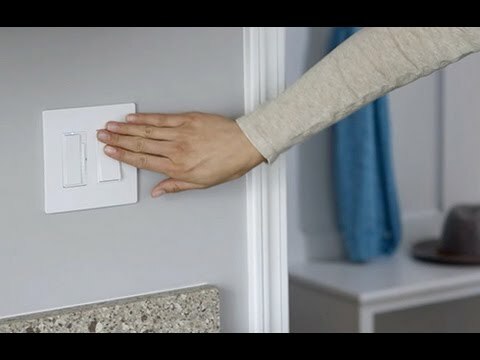 Patented Snap-In Light Module (sold separately) transforms a combination switch into an illuminated switch in seconds. Full wraparound metal strap, commercial grade with lock-in tabs. Rated 5 out of 5 by gdog888 from Perfect Space Saving Device I was faced with having several 4 & 5 gang boxes in my new house. The single pole, 3 way, fan and light switches needed in most rooms meant that I had to reconsider the standard 1 switch for each function. These "Two Single Pole" switches allowed me to reduce many multi gang switches. Can this operate 2 different electrical items - say a residential garbage disposal and an led light? Yes, this switch can operate two loads. Are the &quot;Two Single-Pole Switches&quot; available in Nickel? Good Morning, The nickel is currently available in the 3-way/3-way combination. This is because you can use any 3-way device as a single pole if needed. Hope this helps! Can I order this double switch dark Bronze or where can I find it? Thank you for your inquiry regarding our stacked switch, RCD11. This device can be ordered at any one of our retailers. If you take this part number to the service counter at a Lowe's, Home Depot, Menards, etc. they will be able to special order the product for you if they do not stock it directly. Hope this helps! Looking for two single pole switches, light almond with split circuit tab on it RCD11LA??? 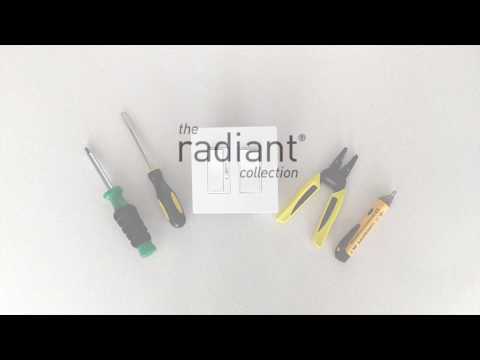 The newer model of the Radiant Combination switches(RCD11LA) now have the split circuit tab option. All current stock shipping now will have this feature.